On Feb. 23, Bob Kingsley’s Acoustic Alley will welcome 11 top songwriters for the popular after-hours event during Country Radio Seminar 2017. 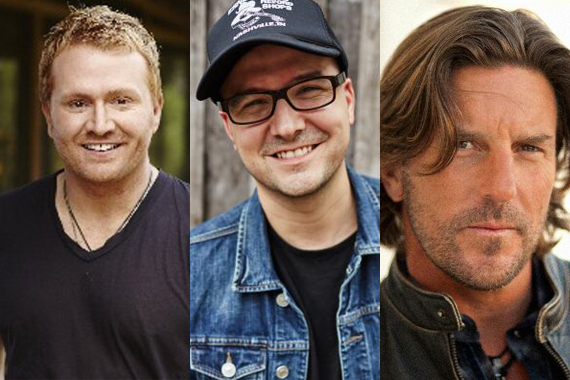 Shane McAnally, Josh Osborne, JT Harding, Laura Veltz, Luke Laird, Ashley Gorley, Brett James, Rhett Akins, Busbee, Jon Nite, and Cole Taylor are all set to perform. Bob Kingsley’s Acoustic Alley will be held on Feb. 23 from 7 p.m. until midnight in the Legends Ballroom (level 2) at The Omni in Nashville, Tenn. A cash bar will be available. A CRS badge will be required for admittance. Bob Kingsley will host the event, now in its sixth consecutive year. The $599 regular registration rate for Country Radio Seminar 2017, to be held Wednesday, Feb. 22 through Friday, Feb. 24 at the Omni hotel, is available at countryradioseminar.com.